Being an executor can be overwhelming and it is understandable if you feel lost as to where to start. 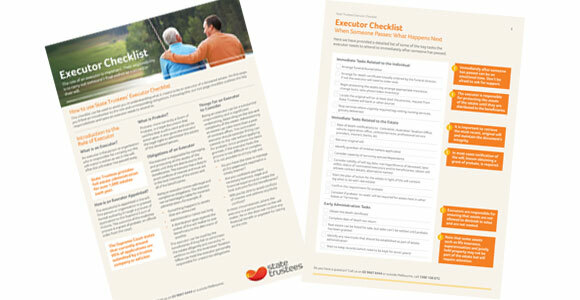 Our checklist has been created to help an executor who is about to obtain a grant of probate or an executor who is already in the process of administering an estate. We invite you to complete the form below to download our Estate Administration Checklist. After you have downloaded the checklist, a team member from State Trustees may contact you to ensure that the checklist meets your needs.